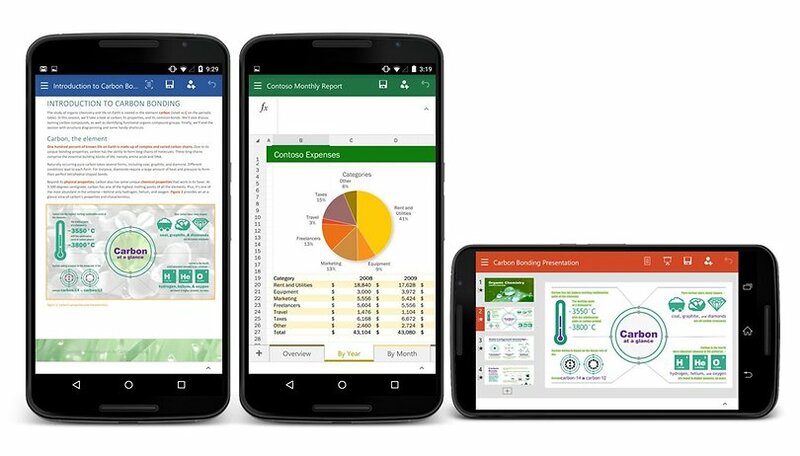 Microsoft Office for Android smartphones has finally arrived. The journey to phones has taken a long time, with the Office Suite being available on Android tablets for a while, but now Microsoft Word, Microsoft Excel and Microsoft Powerpoint are available on both Android smartphones and tablets. The missing Office link for Android smartphone users may have provided a great opportunity for other developers to plug the productivity gap on phones, but we're happy to see Microsoft finally fulfilling its promise to smartphone users. You can now use Microsoft's three apps across all of your Android devices, as long as they are equipped with at least 1 GB of RAM and run Android 4.4 KitKat or higher. After you install the apps you will be prompted to register with your Microsoft account, but this is not mandatory. You can simply sign in to a Microsoft account to access your OneDrive etc. You do not need to register a paid license. A free license is granted upon install for private and business use although you will still need to pay for an Office 365 subscription to utilize the full capabilities of each service. The free version does allow you to view, edit and create documents across devices though. An Office 365 subscription will also allow you to install the Microsoft Office suite on your PC or Mac and you'll get 1 TB of storage in OneDrive. The free license lets you connect with Google Drive, Box, Dropbox and OneDrive. Microsoft Office 365 subscriptions start at 7 USD per month which will give you access on one phone, one tablet and one laptop/computer. Just to be clear: there isn't a new set of smartphone apps in the Play Store alongside the existing tablet versions. The tablet version has simply been updated to support smaller screens, so where you may have previously seen a ''not compatible with your device'' message, you'll now be able to install the app on any sized Android device (although Office 365 is required for use on tablets larger than 10.1 inches). The ability to access existing documents in the cloud and review, edit and share them across devices is a huge win for productivity on Android and across platforms. For the casual user this is already a big enough news but for business types and serious productivity hounds, this is a real game-changer. Do you use Microsoft Office tools on your Android? Will you consider switching now?